Crowns and Bridges are long-term solutions for damaged or missing teeth. 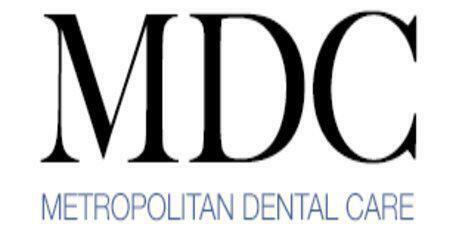 Dr. Nicole Mermet is a Midtown, New York, NY area dentist, by Bryant Park and Grand Central Station, who can help patients bring their smile back to a beautiful place with crowns, bridges, and other dental corrections. Crowns are a kind of dental restoration that are applied to existing teeth. Crowns are typically used to add a layer of protection for damaged teeth, and they also have the cosmetic benefit of concealing damage visually. Crowns are crafted from either porcelain or ceramic, and they are considered to be a semi-permanent type of dental correction, as they are typically worn 5 to 10 years before requiring replacement. Crowns are often placed on teeth after root canal surgery. They are also commonly used to cover the metal part of dental implants. The dentist will have custom crowns made for every tooth that needs crowns. These custom crowns are made to be placed atop the tooth and then moved snugly into place. Dental resin secures the crown in place. Because the crown covers the whole tooth and is attached with resin cement, it won't slide or move. It can be treated like a natural tooth. Bridges are dental devices that act as replacements for small groups of teeth. The bridge typically contains several teeth that slot into the gaps left behind by the loss of natural teeth. Because there are still natural teeth on either side of the bridge, the prosthetic teeth are bonded to those teeth for support. Bridges are permanent dental devices. A bridge is a multi-step process because each bridge is custom-made for the individual. First, molds must be made of the area where replacement teeth are needed. These molds will then be used to fabricate a bridge that will fit the patient perfectly. The dentist will then place the bridge in the mouth, make any adjustments necessary, and will then bond the bridge into place to make it a natural looking part of the mouth.